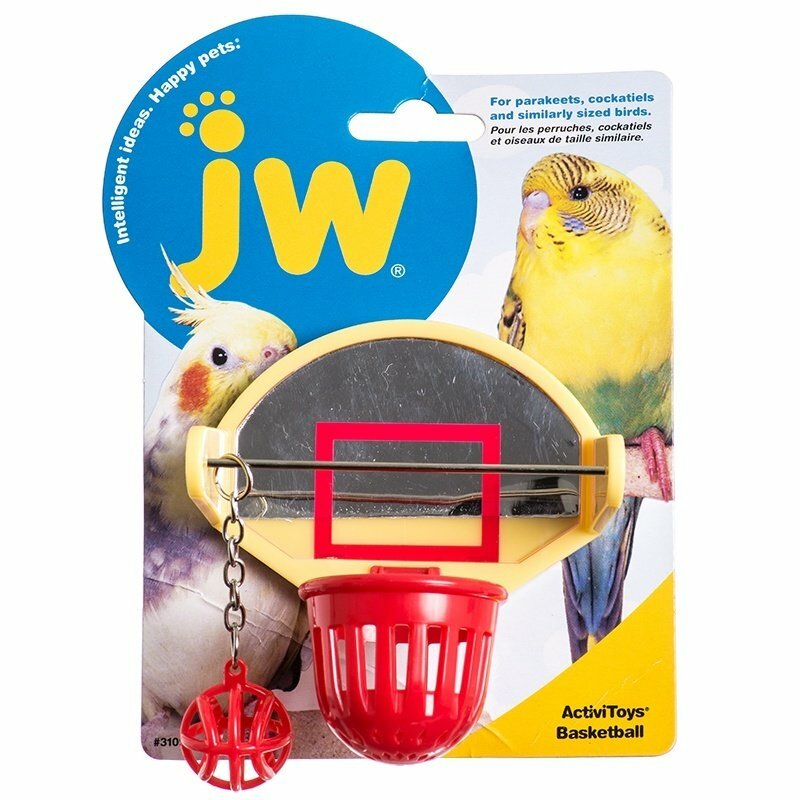 The JW Insight Birdie Basketball set encourages the mental and physical activity your bird buddy needs. With an easily grippable ball, wide basket for easy dunking, and interesting reflective surface, your bird will be pro in no time. Birdie Basketball features a shiny, mirrored backboard to grab your bird's attention, a super light basketball with safety chain for easy beak gripping, and a wide basket with rebounding action for easy and repeated dunking. Includes an easy-grip screw and nut. Attaches securely to almost all cages with horizontal and vertical bars. For parakeets, cockatiels, and other small birds.